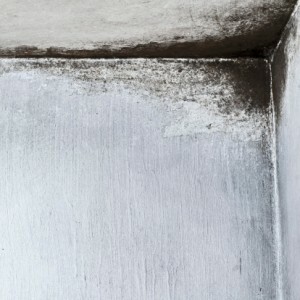 Are You Underestimating the Impact of Mold on Your Health? Awareness of the issues that affect your health and wellness is an exceptionally valuable trait. It is very likely that you carefully consider the impact that your diet has on your health, and it is also very likely that you are aware of the dangers associated with a sedentary lifestyle. Just as you address these issues by eating healthy foods and exercising on a regular basis, you should also identify and address any issues relating to contaminants that exist in your home. One of the most common contaminants is mold, which can have a significant and adverse effect on the health and wellness of you and your family. The CDC also noted that while further study is necessary, the possibility exists that mold is linked to the development of acute idiopathic pulmonary hemorrhage among infants, memory loss and lethargy. Mold can grow in a variety of places and may take hold in less than 48 hours under the ideal conditions. Many of the places within your home where mold is most likely to grow cannot be seen, including in vents, air ducts and between walls. This is cause for concern, as airborne mold spores may travel fairly easily throughout these spaces, causing a contamination that cannot be observed. Through the professional assistance of H2 Environmental, it is possible to not only identify whether or not you have a mold problem, but to also have a remediation program created to eradicate the mold from your home. It is always best to have peace of mind when it comes to your health and the health of your family, so please contact us today so we can set up a time to help you identify and eliminate any mold problem that you may have. Not only will you be able to rest easy knowing that you have helped secure your health, you will also be able to breath easy as well.